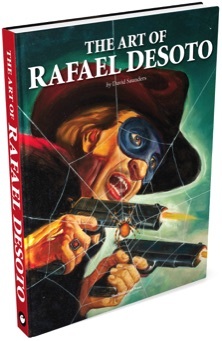 The book is 224 pages, 9”x12”, full-color on premium low-gloss stock, hardbound with dust jacket. Limited to just 900 copies. ABOVE: The unfolded dust jacket design. International shipping is unfortunately quite expensive. When ordering, simply select the appropriate destination and enter your address. The website will calculate the shipping cost to your country automatically. Please note that I do not create the rates, these are calculated directly by the USPS website. 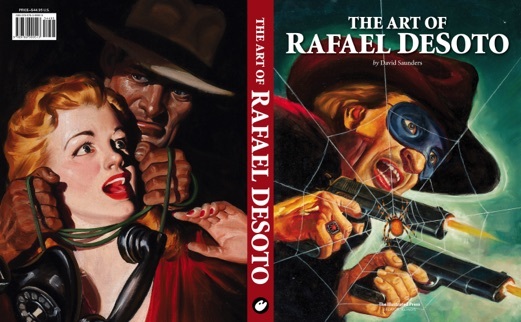 A Deluxe Edition of the book is available, limited to 100 copies. These are presented in a red slipcase with white stamped lettering. 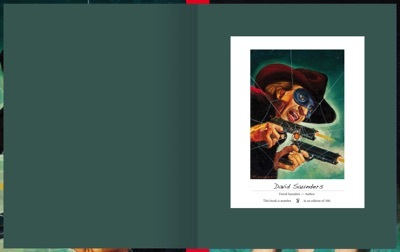 Inside of the book is a tipped-in insert signed and numbered by the author, David Saunders. ABOVE: The Deluxe Edition ships in a red slipcase. signed and numbered by the author, David Saunders. 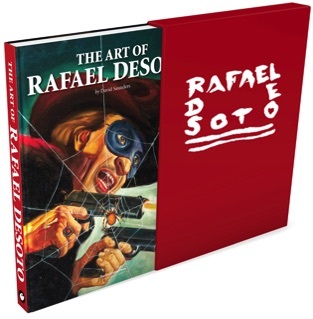 The book is 224 pages, 9”x12”, full-color on premium low-gloss stock, hardbound with dust jacket. 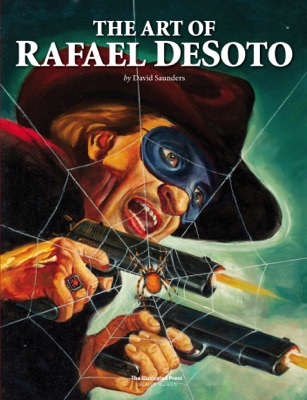 Insert signed and numbered by author David Saunders. Limited to just 100 copies.